Designing your author website will essentially come down to two things: content and aesthetic. As writers, we certainly have the content part down. But what about the actual design? What message are you trying to convey visually? Throwing all of your favorite colors onto your author website isn’t necessarily the best way to go. Instead, base your choice on proven color theory concepts to select colors that complement each other, that make your text easy to read, and, most importantly, that convey a message or theme tied to your writing. Here are our tips for choosing the right colors for you! Choose complementary colors. While this may not be the case for everyone, it’s safe to say that most people won’t want to spend a lot of time staring at a screen with a hot pink background and neon orange text. Pick colors that work well together. A great online tool for finding complementary colors is ColorBlender. This site gives you swatches similar to those you would pick up in the paint store. Natural scenes: deserts, beaches, forests. Think of all the colors found in a single sunset. Colors that surround you: What’s in your wardrobe? Is there a color scheme in your home? Think about color in relation to your writing. Different colors convey different meanings and evoke different emotions. Let’s go back to the hot pink and neon orange example: If your book is a murder mystery set in the gritty 1980s New York City mob scene, do those colors really make sense? No. When a visitor first lands on your author homepage, perhaps a deep red and a hazy gray would do the trick? Also, you’ll want to keep in mind the color scheme of any cover art you may have. If you’re using your author website to promote your latest book, choose colors for your site that complement the cover art. The colors don’t have to match exactly, but they shouldn’t clash. Make sure your color scheme makes your text easy to read. Contrast is your best friend when it comes to making your content readable on your author website. If you’re going to go with a lighter font, then a darker background is necessary, and vice versa. Think about the purpose of complementary colors: They contrast while strengthening each other, and they never compete for attention. Allow your colors to work together with the layout of your site. As your visitors click through your site, they’re not going to want to see a changing color scheme with each page they visit. Just as you wouldn’t jump from one genre to another when writing a novel, keep your color theme consistent throughout your author website. 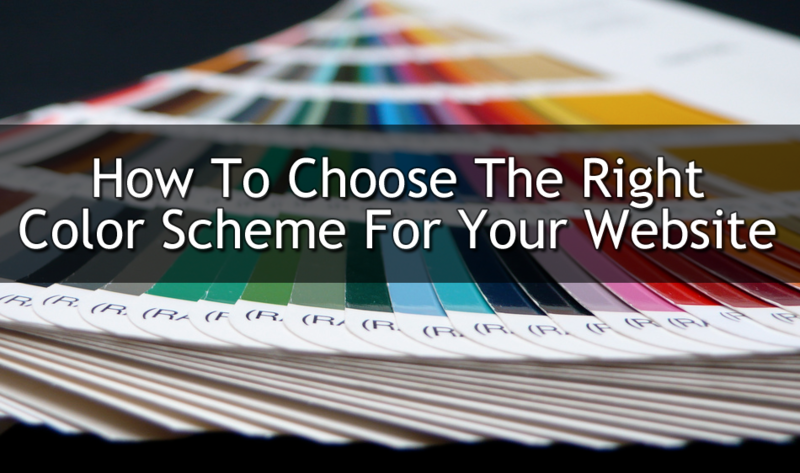 Choosing the colors for your author website should be a fun experience. When it all comes together, you should have an easy-to-read, color-complementary site that is pleasing to the eye and stimulating to the mind. QUESTION: Would your writing require a more monochromatic color scheme, or something more flashy and vibrant?